To say this has been a busy week is an understatement. I have tried to get to the blog but am exhausted by the time night comes. I will share some of our recent releases with you today. 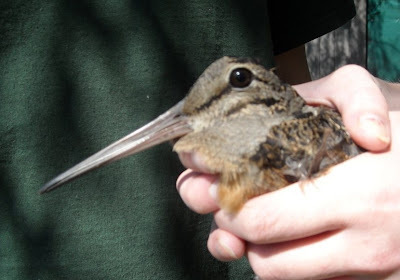 The best part of doing wildlife rehabilitation is the release of a bird that is 100% ready to take his place in his own world again. Sometimes we are asked if it is hard to let them go... We sure think about them after they are released but not in the longing way of wanting them with us. 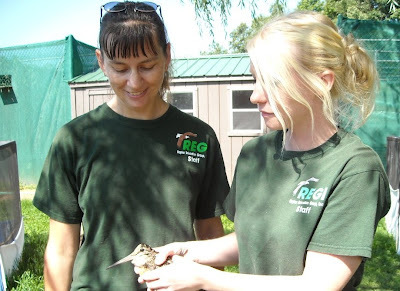 We are just grateful to have had the opportunity to give them a second chance at being wild birds again. Migration time is always busy for us. 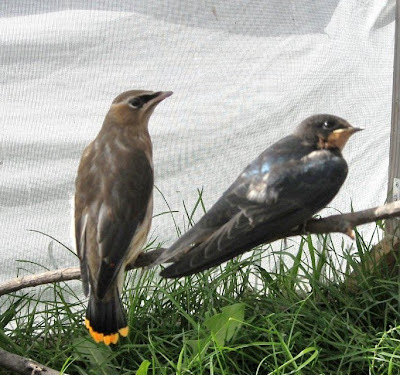 Birds coming through Northern WI from more northern regions including Canada and Upper Michigan can end up in our clinic with a variety of reasons. Last time we went over some things that happen to the Common Nighthawk. 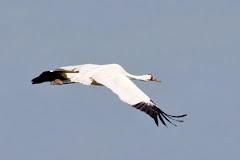 However the boreal forest to our north is home to some of the most sensitive and secretive birds on wings. Warblers are now making their way to the tropics and come grace us with their presence on their way. Many times warblers hit radio or TV towers or even tall buildings and come in with everything from slight headaches to broken wings or serious head injuries. These birds migrate at night and do not see the guide wires that hold up the very high towers. Just as if we were to run head on into a wire stretched across our path, wires pose a serious threat to migrating birds. Most are killed rather than injured. It is the lucky ones that end up in rehabilitation facilities. 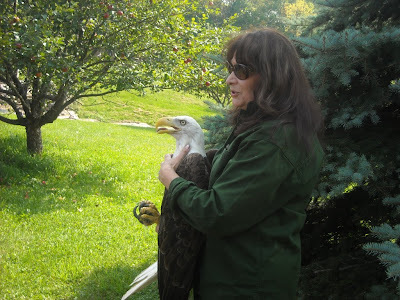 The Bald Eagle in the photo above just admitted this week. She was hit by a car near Ladysmith, WI. 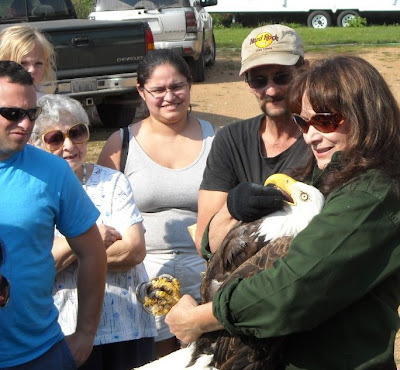 We can expect that more eagles will be hit by cars as our deer season opens soon. Eagles do like carrion and make use of animals that are killed by cars or the die near roads and highways. If they have a full crop of food they do not fly away as quickly as they could without that extra weight on board. Kind of like after a Thanksgiving dinner. If you are driving please be aware of the extra danger to wildlife during the fall and winter seasons. This patient is doing well and for the most part eating on her own now. She loves fish. Interestingly most bald eagles when admitted with medical problems prefer meat such as venison or beef heart as a first food. I am off to do more releases. 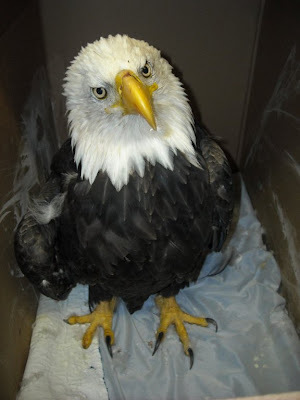 I promise to update the lead poisoned Bald Eagle and Peregrine Falcon soon.